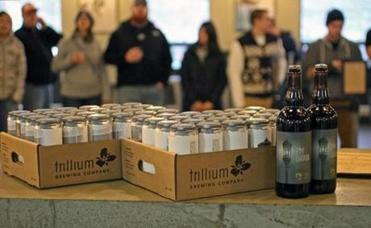 Facing intense backlash, Trillium Brewing Company announced Monday that it has restored the hourly wages of longtime employees whose pay had been cut. The move came about a week after complaints from current and former employees about the popular craft brewery’s labor practices came to light online. Trillium owners JC and Esther Tetreault posted a statement on the company’s website Monday evening. 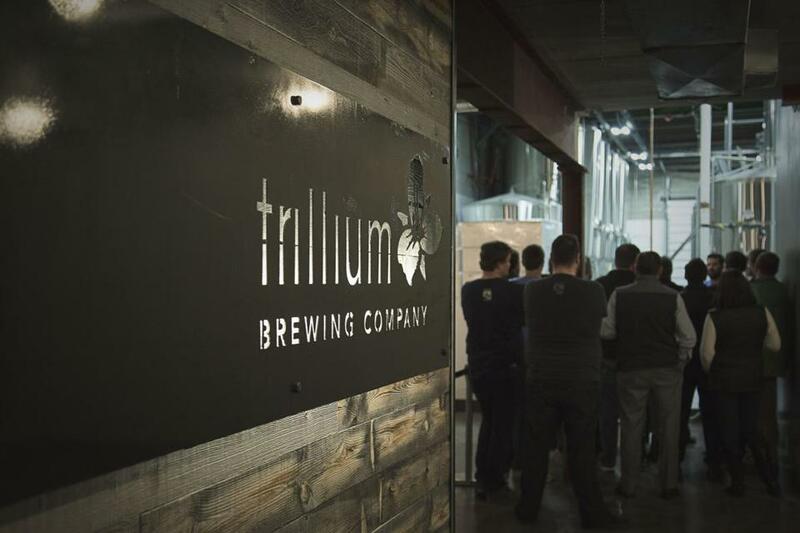 One current and one former Trillium employee said the pay cuts had been from $8 an hour to $5 an hour, and coincided with the opening of the brewery’s new restaurant, bar, and retail shop in Fort Point. The pay cuts came as employees moved to the new facility, Trillium said, and brought longtime employees’ pay in line with workers hired more recently. But in an interview last week, JC Tetreault acknowledged that was a mistake. When the move was made public, first in online discussions at BeerAdvocate.com and then on social media, hundreds of customers posted scathing responses — some vowing never to return. The pay cut affected several longtime retail employees who had worked at Trillium’s original Fort Point location selling cans and filling growlers for customers who lined up, sometimes stretching more than a block down Congress Street. Most of the employees faced with the prospect of a pay cut opted to leave the company. In an interview last week, JC Tetreault said two employees accepted positions at the new facility but at the reduced rate. Though the retail workers are not traditional bartenders, often simply processing retail transactions that more closely resemble what happens at a package store, they are paid below standard minimum wage for hourly workers, $11 an hour. The minimum wage for tipped workers in Massachusetts is $3.75 an hour, though employees must still make at least $11 an hour in combined wages and tips — something Trillium employees say they still do. Some expressed surprise that retail employees would be paid tipped wages, but there are no specific types of jobs that can be paid less than standard minimum wage through what’s known as the tip credit. “As long as they’re getting more than $30 a month [in tips], even though they’re retail employees you can still pay them the tip credit. It’s not tied to a customarily tipped profession,” said Ben Weber, a lawyer at Lichten & Liss-Riordan, a Boston labor and employment firm. But the move to the new, larger facility in Fort Point coincided with a drop in tips as well as the pay cut, JC Tetreault confirmed in an interview last week. “It just looks really bad. It has terrible optics to it. And our beer is at the upper range of price points,” Tetreault said then. In the statement Monday, Trillium’s owners said a conversation about the compensation model for employees is needed. At other craft breweries, employee compensation models vary. At Notch Brewing in Salem, taproom employees are paid tipped wages, owner Chris Lohring said in an e-mail. “We rarely sell retail cans to go from the tap room, instead we ship them to retailers. So our tap room business is 95 percent for consumption onsite, and we chose the tipped model for that reason,” Lohring said. At Maine Beer Company, in Freeport, starting pay for full-time employees is at least $16 an hour and a year-end bonus, CEO Steve Mills. Next year, that will change. “We recognize most people need more money every paycheck,” Mills said, and so the bonus will be dispersed throughout the year and starting pay will rise to $18 an hour. The company also pays 100 percent of its full-time employees’ health insurance, and offers a 5 percent retirement contribution that does not require an employee match. Any tips go to the company’s environmental nonprofit, a message displayed prominently behind the bar. Lawson’s Finest Liquids in Waitsfield, Vt., uses a similar model. “We employ a ‘no-tip’ model by offering our full-time employees generous living wages with benefits,” the company wrote on Twitter earlier this month. Lawson’s makes clear to customers that tips are not necessary and any money left will be treated as a donation.